Home resourceNewsletters Employer 401(K) Plan Remittances – How Much Time & Risk Do You Have? Employer 401(K) Plan Remittances – How Much Time & Risk Do You Have? When an employer sponsors a defined contribution retirement plan, such as a 401(k), it is providing employees with a great opportunity to save for retirement. In most cases, employees are allowed to defer a certain amount or percentage of their pay from each paycheck to contribute to the retirement plan. Although withholding and remittance of employees’ contributions to such plans often are automated, and occur during the employer’s payroll processing, the untimely remittance of any employee deferral, no matter the cause, can create several different risk exposures for an employer, including financial, as it may lead to payments of fines, penalties and interest to government entities. 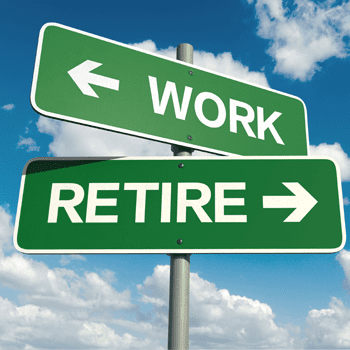 The U.S. Department of Labor (DOL) rules that regulate these activities require that an employer deposit employees’ deferrals into their retirement plans in a timely manner. But what constitutes a timely manner? DOL rules state that participant contributions must be deposited into the plan as soon as they can be reasonably segregated from the employer’s assets, and no later than the 15th business day of the month after the pay date. Although it may seem as though an employer can wait until the 15th business day of the following month – note – if the funds for the remittance can be identified and segregated prior to that date, then they should be remitted at that earlier time. An employer’s internal controls can play a key role here, to help ensure that remittances are processed timely and consistently for each pay period. What if a remittance is processed a few days outside of the normal pattern? Or what if the funds were withheld and never remitted to the plan? If an employer has failed to timely remit employee contributions, the DOL offers a Voluntary Fiduciary Correction Program that allows the employer to correct the mistake. Additionally, the DOL provides an online calculator to assist with the determination of lost earnings resulting from the untimely remittance. Keep in mind that there also could be excise tax filing requirements with the IRS as a result of untimely remittances. Lastly, as a best practice, employers should notify the employee(s) about any adjustments affecting them. Correcting mistakes, and implementing internal controls to improve current and help ensure future compliance with the DOL’s remittance rules, can assist an employer with making certain that its plan remains in good standing. If you believe that your employee retirement plan may have exposure related to untimely remittances of employee deferrals, or you need assistance evaluating your processes related to the remittance of employee contributions, please contact me at snoon@mercadien.com or 609-689-9700.